Any career change – let alone a move from American International Group (AIG) to the largest independent wholesale insurance broker in the United States – brings with it some nerves, but even more so when a former insurance broker who worked on the carrier side of the business for over a decade is now making a full circle back to the area of insurance where she began her career. Marya Propis (pictured) was hired by All Risks Ltd. back in May as senior vice president – director of distribution and broker partnerships. 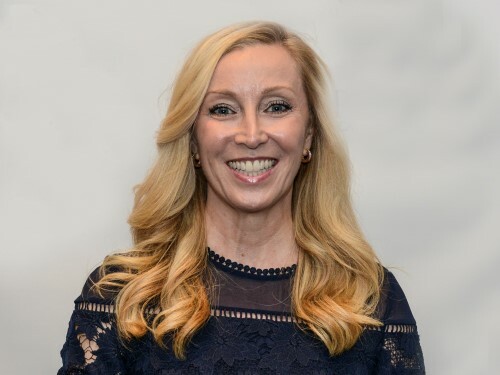 Her previous role as commercial head of broker engagement for AIG meant that she had never left the brokerage world completely - for the majority of her time at AIG, Propis’s responsibility was to work with and manage broker partners, she told Insurance Business. Nonetheless, this career shift brings it with some changes. That’s not the only way the new SVP’s work will differ from her past experiences and help to build on her wide-ranging skills. “The move to All Risks is just really interesting for me because it’s the first time frankly that I’ve been on the wholesale side versus the retail side and, of course, in the US, we’re the only market on a global basis that has very distinct wholesale and retail channels, so it’s a great opportunity for me,” Propis explained, adding that the new role will allow her to leverage her sales, strategy and business development skillset, and put this to work for brokers as opposed to being on carrier side. Considering a career change is a big decision, and brings with it considerations for how a company fits with an individual’s priorities. Propis definitely had a must-have on her list for her next employer, and she said that she didn’t have to make any compromises with All Risks. The wholesaler has taken a formal approach to what training looks like for summer interns and post-grad hires, which is both fun and gratifying for Propis, besides aligning with some of her board service. She serves on the Industry Advisory Council for Temple University’s Fox School of Business, the Board of Trustees for her own alma mater, Canisius College in Buffalo, New York, and is also on the board for the Spencer Educational Foundation, which provides awards and scholarships for students in risk management and insurance. Spending time on campus has allowed Propis to see how diversity in insurance can be improved. She sees real gender parity on campus and has a chance to interact with what she calls one of her most diverse audiences. The insurance sector has to figure out how to harness that diversity and channel it into the industry.